AISA will nominate candidates for the positions of President and Vice-President while CYSS will contest for the posts of Secretary and Joint Secretary. In a joint press conference, Aam Aadmi Party’s (AAP) Delhi convenor Gopal Rai today announced the alignment of the party’s student wing Chhatra Yuva Sangharsh Samiti (CYSS) and Communist Party of India’s (CPI-ML) youth wing All India Students Association (AISA) to tackle the NSUI-ABVP hegemony in the University political sphere. Also attending the press conference were Kawalpreet Kaur, President of Delhi wing of AISA and CYSS student leader Sumit Yadav. The alliance would be key to the resurgence of CYSS as the party returns after a hiatus of two years and would be heavily banking on the experiences of AISA in the DU elections and its recent successes in pitching student relating issues. However, AISA president Kawalpreet Kaur indicated that rather than considering this an ideological merger, this move should rather be seen as a necessary political move to tackle campus anarchy. 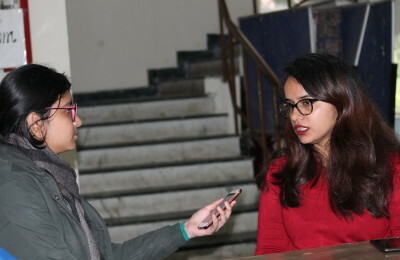 In a conversation with our correspondent, she maintained, “It is in no way a compromise on the ideology rather as Marxists we have responded to the immediate vaccum in this country as this is the last DUSU election before 2019 Lok Sabha polls. We wanted to provide a platform which rejects goondaism. As all of us were hoping that NSUI has defeated ABVP last year and will be an alternative but it has so far proven that both of them are similar as NSUI stood silent on all anti-student policies of the government and the ABVP-NSUI nexus gave each other support. This is a historic time where our campus can send a big message, establish an alternative model and set tone for 2019”.